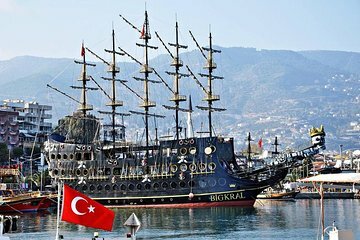 Don’t leave Turkey without taking this one-of-a-kind opportunity to cruise the Mediterranean in a pirate ship. With four decks, music, and plenty of swimming stops, unwind as the ship cruises past various historic and natural sites of interest; including the medieval shipyards, Red Tower, and multiple seaside caves. Explore the gorgeous beach city of Alanya, and top off this unique experience with the on-board foam party.